Traditional retail branch models were designed back in the days before the internet and mobile phones. Times have changed, but branches haven't. Barely a day goes by when you don’t see an article suggesting that brick-and-mortar retail banking is on death’s door, but branches aren’t going away. They are certainly changing, and in a good way. 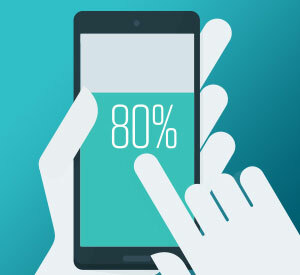 According to a study by Market Force Information, Americans are increasingly using apps to conduct financial tasks, but many still rely on face-to-face interactions when it comes to financial advice or learning about services. And those branch visits positively impact overall satisfaction and likelihood to recommend that bank. Banks and credit unions are digging deep as they try to define the purpose and value of their retail branches, now that a good chunk of the transactional stuff has gone digital. Most branches were built in- and for the Analog Age, not the Digital Age. Traditional financial institutions are now faced with a strange paradigm: they need to be reactive — responding to consumers that come in with queries, tasks, chores and complaints — while at the same time they need to be proactive — full of ideas, engaging and provide trustworthy advice for big, complex items like mortgages. After remaining fairly stable and unchanged for decades, the banking industry is now facing an unprecedented speed of change. These days, financial brands, along with their creative and technology partners need more agility, fleetness of foot and flexibility if they hope to successfully tackle their challenges — increased regulation, new market entrants, legacy systems and estates, and better informed customers. The advancement of technology means that the way people now do their banking and make financial decisions has shifted dramatically. Consumers today are better informed thanks to online research, but that’s only a starting point… filtering the information they find for credibility and veracity is a major challenge, particularly when it comes to big financial decisions. All this adds up to the fact that the in-branch experience and format of physical branches must undergo a sea change. 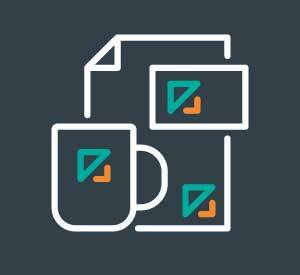 Existing branch models were designed for high transaction volumes, not to accommodate the increasing need for consultative advisory services. The old cookie cutter approach to branches is simply unsustainable, and smaller footprints make sense from a business perspective. That’s why many retail financial institutions have devised a growing array of branch experiences and formats that aim to integrate the physical experience with other channels, and appeal to local customers and their needs. In Scandinavia, Nordea has more than 1,000 branches, but only a handful of these are now staffed with cash tellers. Since all the space required for handling cash isn’t needed, this means the bank can work with much less square footage. New, sometimes radical formats including pop-ups, micro banks and roaming branches create environments that are community focused, tailored to location and customer need. They can deliver services that can’t be easily obtained online, while encouraging high value conversations — adding value, building loyalty and engaging people in a brand-forward experience. Case in point: Lloyds Bank in the UK. A new location in London served as the impetus to engineer a new customer experience and design concept. 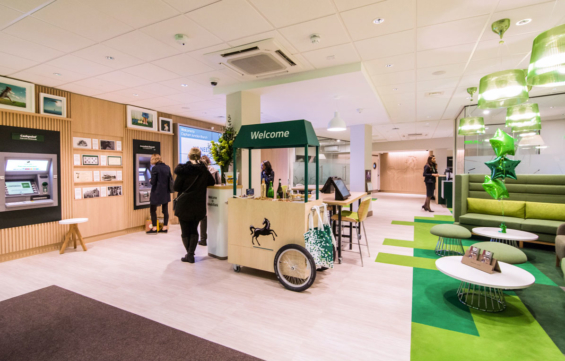 The Lloyds branch at Clapham Junction is highly targeted to the area’s particular demographic — young, financially well-off and digitally-savvy. Recognition of local residents’ lifestyles through personalized service was central to delivering a customer experience that deepens relationships. The branch is experiential rather than purely functional. There’s space for partnered events, such as a local business event with Google Digital Garage about SEO. The results are testament to the branch effectiveness in terms of service levels, design, and overall experience, significantly outperforming branches in a control group, and positively influencing consumers perception of the Lloyds brand. The bank will now be opening more sites with a local focus and reduced footprint. 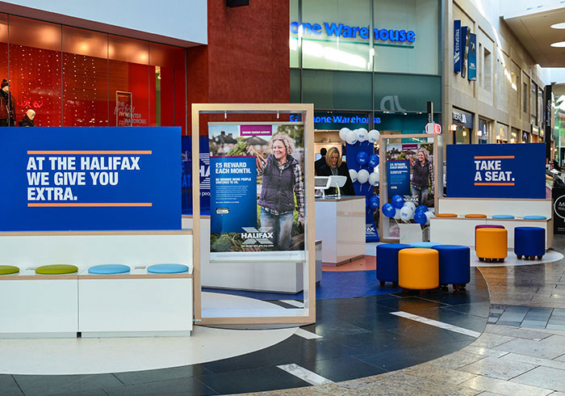 In Scotland, Halifax uses a pop-up format to deliver convenience — quite literally — to its customers in high traffic locations like shopping malls. Designed to promote side-by-side interactions, the branch can be manned by two to four people armed with nothing more than a tablet that facilitates delivery of services and can process simple transactions. 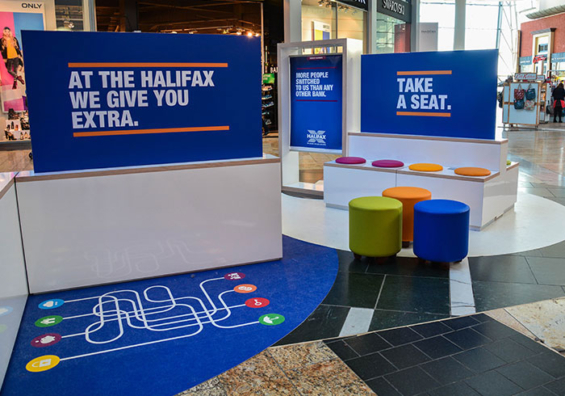 More than four out of five visitors said they were “very likely” or “likely” to visit another Halifax branch as a result of their pop-up experience. 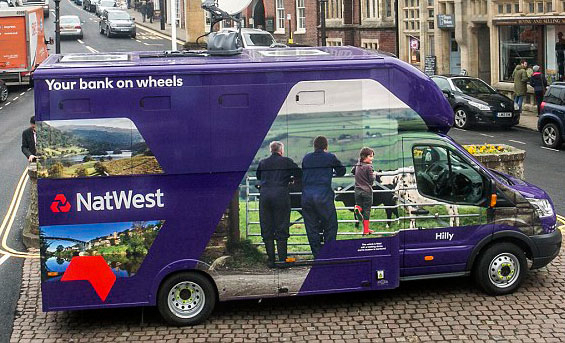 Such mobile banking units are now seen across the UK. It isn’t just some gimmick, nor is it about having a tiny, little branch in the back of a van that can provide banking services to people living in remote areas either. 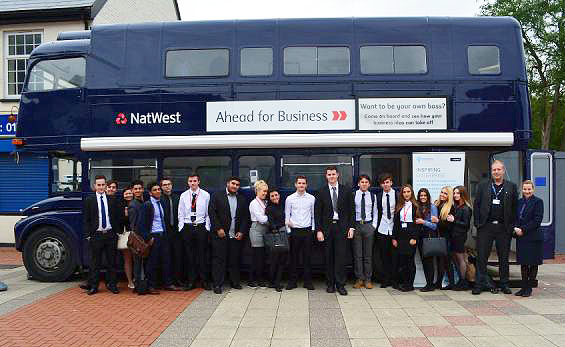 For NatWest, banking in the physical channel has become borderless, flexible and fluid. Its range of roaming banking vehicles has been designed to respond to customers’ wide-ranging needs, whether that’s face-to-face advice about financial planning or large vehicles they can use at festivals and shows. 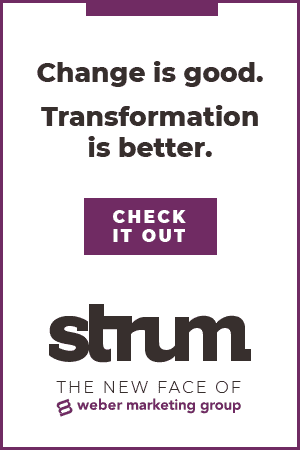 Technology is one of the keys to success with branch transformation projects. 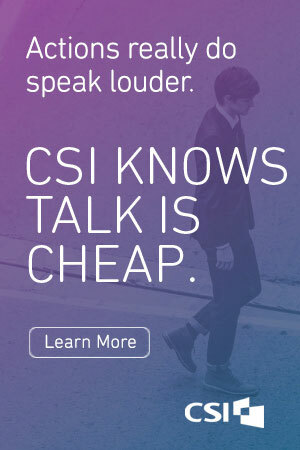 IT can be a real enabler, but it’s also complex. And most banks are saddled with legacy backend systems that aren’t suited for the branch of today… much less the branch of the future. But when these issues are overcome, we see things like Nationwide NOW, which gives customers access to a whole team of consultants and personal banking managers through in-branch high-definition video. Not only has this enabled the bank to leverage it’s physical network with a renewed purpose with far less overhead, but in some locations Nationwide NOW’s positive impact on profits has justified its ongoing commitment and investment in physical branches. It’s time for more engaging, creative, and aspirational physical spaces that seamlessly integrate the physical experience with other channels. There are exciting opportunities to create new places and spaces for financial education, digital onboarding, community events and guest events hosted by affinity brands. So ultimately no, retail branches aren’t dying. But it certainly will be exciting to see how the brick-and-mortar channels continues to evolve.